The U.S. “deep state” – of which the CIA is an integral part – is an open secret now and the Phoenix Program (assassinations, death squads, torture, mass detentions, exploitation of information) has been its means of controlling populations. Consequently, knowing the deep state’s methods is the only hope of building a democratic opposition to the deep state and to restore as much as possible the Constitutional system we had in previous centuries, as imperfect as it was. Princeton University political theorist Sheldon Wolin described the U.S. political system in place by 2003 as “inverted totalitarianism.” He reaffirmed that in 2009 after seeing a year of the Obama administration. Correctly identifying the threat against constitutional governance is the first step to restore it, and as Wolin understood, substantive constitutional government ended long before Donald Trump campaigned. He’s just taking unconstitutional governance to the next level in following the same path as his recent predecessors. However, even as some elements of the “deep state” seek to remove Trump, the President now has many “deep state” instruments in his own hands to be used at his unreviewable discretion. 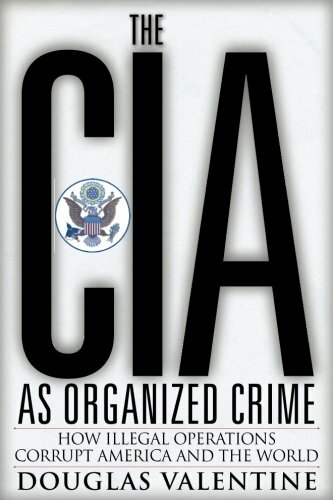 The CIA as Organized C... Douglas Valentine Best Price: $18.57 Buy New $18.77 (as of 03:00 EDT - Details) Many “never-Trumpers” of both parties see the deep state’s national security bureaucracy as their best hope to destroy Trump and thus defend constitutional government, but those hopes are misguided. After all, the deep state’s bureaucratic leadership has worked arduously for decades to subvert constitutional order. Glennon noted that the propensity of “security managers” to back policies which ratchet up levels of security “will play into Trump’s hands, so that if and when he finally does declare victory, a revamped security directorate could emerge more menacing than ever, with him its devoted new ally.” Before that happens, it is incumbent for Americans to understand what Valentine explains in his book of CIA methods of “population control” as first fully developed in the Vietnam War’s Phoenix Program. There also must be the realization that our “national security” apparatchiks — principally but not solely the CIA — have served to exponentially increase the numbers of those people who hate the U.S. Some of these people turn to terrorism as an expression of that hostility. Anyone who is at all familiar with the CIA and Al Qaeda knows that the CIA has been Al Qaeda’s most important “combat multiplier” since 9/11, and the CIA can be said to have birthed ISIS as well with the mistreatment of incarcerated Iraqi men in U.S. prisons in Iraq. Indeed, by following the model of the Phoenix Program, the CIA must be seen in the Twenty-first Century as a combination of the ultimate “Murder, Inc.,” when judged by the CIA’s methods such as drone warfare and its victims; and the Keystone Kops, when the multiple failures of CIA policies are considered. This is not to make light of what the CIA does, but the CIA’s misguided policies and practices have served to generate wrath, hatred and violence against Americans, which we see manifested in cities such as San Bernardino, Orlando, New York and Boston. Pointing out the harm to Americans is not to dismiss the havoc that Americans under the influence of the CIA have perpetrated on foreign populations. But “morality” seems a lost virtue today in the U.S., which is under the influence of so much militaristic war propaganda that morality no longer enters into the equation in determining foreign policy. 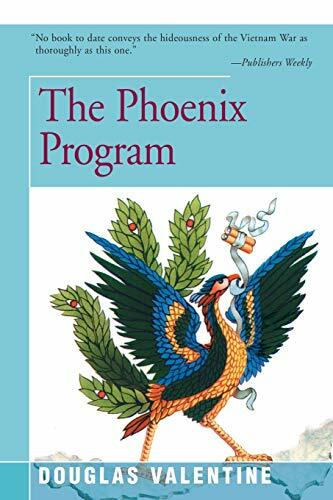 In addition to the harm the CIA has caused to people around the world, the CIA works tirelessly at subverting its own government at home, The Phoenix Program Douglas Valentine Best Price: $12.99 Buy New $13.05 (as of 04:15 EDT - Details) as was most visible in the spying on and subversion of the torture investigation by the Senate Select Committee on Intelligence. The subversion of democracy also includes the role the CIA plays in developing and disseminating war propaganda as “information warfare,” upon the American people. This is what the Rand Corporation under the editorship of Zalmay Khalilzad has described as “conditioning the battlefield,” which begins with the minds of the American population. Military Commanders considered that type of program a flagrant violation of the Law of War. “Their main job is to zap the in-betweeners – you know, the people who aren’t all the way with the government and aren’t all the way with the Viet Cong either. They figure if you zap enough in-betweeners, people will begin to get the idea,” according to one quote from The Phoenix Program referring to the unit tasked with much of the Phoenix operations.